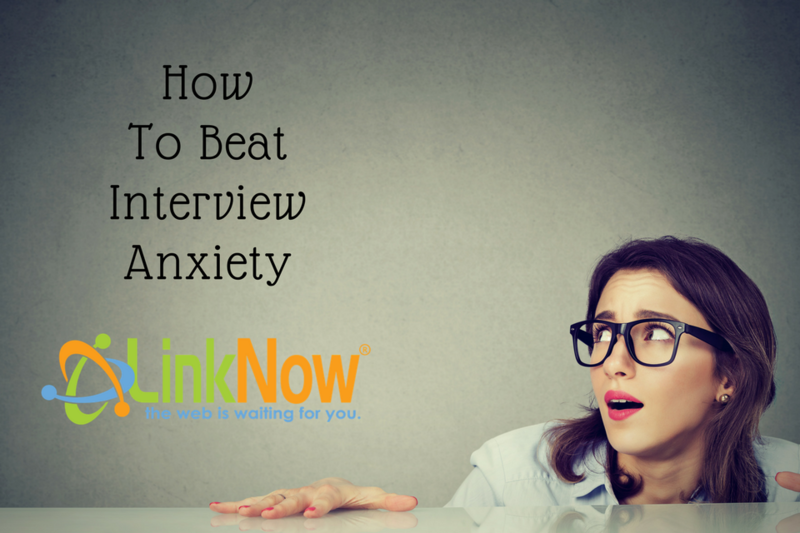 Tips for Beating Interview Anxiety ‹ LinkNow Media | We're Hiring! Even the most confident among us can falter when it comes to job interviews. Getting the chance at a new job can determine your direction in life, your career path, or at the very least, where the money you need to support yourself is going to come from. Passing the initial screening process and landing that coveted interview can feel like a win but it’s the first step on your road to that shiny new job. We all know that feeling of getting the call after handing in a resume, but that’s fleeting when interview anxiety sets in. So, how do the best of the best beat their stress and take charge of the interview process? Any company is going to want to know that you’re aware of what they do, and you’re going to want to arm yourself with as much information as possible so there aren’t any uncomfortable silences during that interview. If possible, check out websites like Glassdoor to see what other people say about the interview process. Your company of choice not listed? Then read up on them. They’re likely to have their own values and services outlined on their website so when they ask, you can parrot them right back. A buildup of nerves is bound to make your stomach twist into knots. Don’t make that worse by skipping breakfast. We need food for a reason, and the energy from a good meal will help you to focus and keep that confident smile on your face, even if it’s fake. Absolutely don’t drink coffee. Jitters and tunnel vision aren’t going to do you any favors, and neither will an unplanned crash. Wait until your interview is over with to indulge in your favorite Starbucks! Don’t cram up to the last minute. Prepare yourself the night before, go over your mental notes when you wake up, and then do your best to tune out the world. Listen to music without any lyrics in it and keep yourself in your own little bubble of concentration and relaxation right up until the point you walk in the door of the company you’re interviewing at. That’s right—admit that you’re nervous. Carrying around your anxiety can build up like a big dark secret, hanging over your head and ruining your chances. Once it’s out in the open, you can start feeling like you and your interviewer are on the same page. Greet your interviewer with a smile and a handshake, and apologize in advance for any speed-talking or mind blanks your nerves may produce. Just don’t over-do it. Mention it once and move on. Drawing more attention to your anxiety could make your potential employer see you as unfit for the job. There’s no surefire cure for job interview nervousness, but there are a lot of great tips you can keep in mind before going into a stressful situation. Be yourself, and fake it ‘til you make it if need be. Chances are you’re coming off a lot better in reality than you are in your imagination anyway!